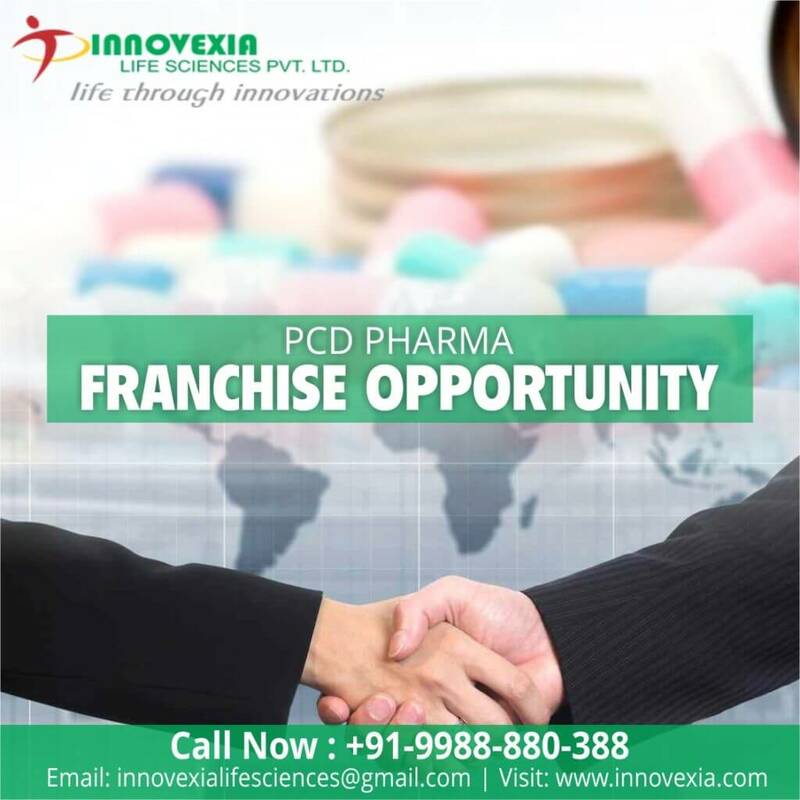 Pharma Franchise for General Medicines – Innovexia Life Sciences is one of the leading Pharma Franchise Company in India. The company is involved in the manufacturing and marketing of the pharmaceutical drugs. Innovexia Life Sciences is ISO 9001:2008 certified Pharma Company and all the products are manufactured in the WHO and GMP certified production unit. The products under our banner are best in quality as they are manufactured by using the best quality chemicals and raw material. Innovexia Life sciences provide the best Pharma Franchise for general medicines/drugs and products that cover the various segments. Innovexia Life Sciences ensure to provide all the products which are great in demand and highly effective. The company offers the huge product range those more than 500 products. We have associates in all the major cities of the country such as Bangalore, Mumbai, Delhi, Chandigarh and many others. Pharma Franchise for General Medicines/ drugs and products are great in demand and comes with several benefits. If you are looking for the best range of general medicines with the best quality then Innovexia is the best option for you. The quality of our products is our priority. Our objective is to provide our associates with the international quality standard formulations. Thus, we have the best infrastructure along with the technology and machinery that support us in making this possible. The Company makes sure that the raw materials that are used for the manufacturing are hygienic and effective. The best vendor in the market supplies us all the material for the manufacturing. At Innovexia Life Sciences we have the quality management team. This team keeps a strict check on the quality of products at every level of manufacturing. Our quality management team make sure that the company only provide the high standards products that meet the quality parameters such as purity, safety, effectiveness and other such things. What is the scope of Pharma Franchise for General Medicines? To understand the scope of pharma franchise business in India it very important first to known how the pharma franchise work. The Pharma Franchise works as a bridge between the pharma company and the customers. The pharma company sell their products along with their brand name and trademark to the pharma franchise and then these products are further sold to customers by the franchise holders with the profit margin. With the growth of the pharmaceutical industry, the Pharma franchise business is getting a lot of boosts. Talking about the general drugs, people today are education and they are accepting the pharmaceutical products which are best in quality. The effective and branded drugs are great in demand. In order to get the best cure for any health issues, customers look up to the best products. That is why the demand for branded drugs is increasing rapidly. It won’t be wrong to say that the scope of the pharma franchise for generic drugs is high and this growth will continue in the future as well. Innovexia Life Sciences provide the products with the wide range. We manufacture more than 500 formulations with the best quality. Tablets, Capsules, Injectables, Syrups, Protein Powder, Ointments are some of the products that we offer. Innovexia Life Sciences provide the formulation with the lesser side effects and exceptional best in the quality. The medicines that we offer are affordable. This is because our medicines are manufactured in the excise duty-free zone. The company provides the best packaging for all the products with the proper labeling this provide the long shelve life to the medicines. All the products are delivered on time.